If you’re the team administrator for your PageProof Teams or Enterprise license, you can invite and manage team members from the Team area under your main menu. Open the main menu pane by clicking on your avatar (top right hand corner). Select team, then team members. Under manage team, click invite team. 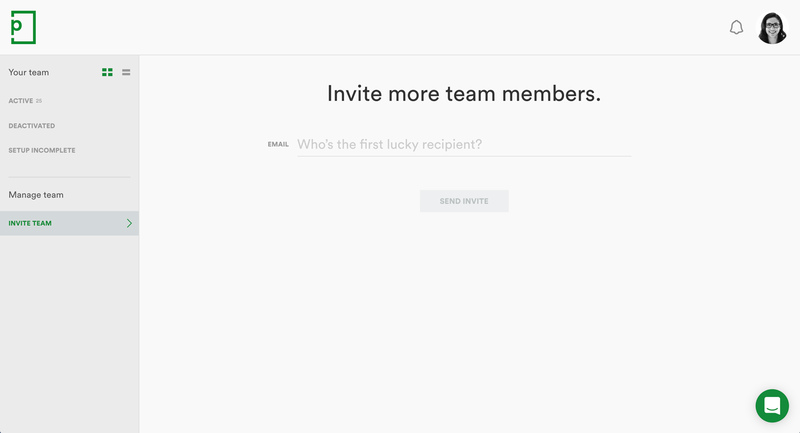 Add your team members by their email address. To add multiple team members, comma separate the email addresses. Please note: you can only invite and manage team members who are in the same email domain as your PageProof license. Or, you can add them to a proof as a reviewer. When they click view proof in their email invitation, their account will be automatically created.